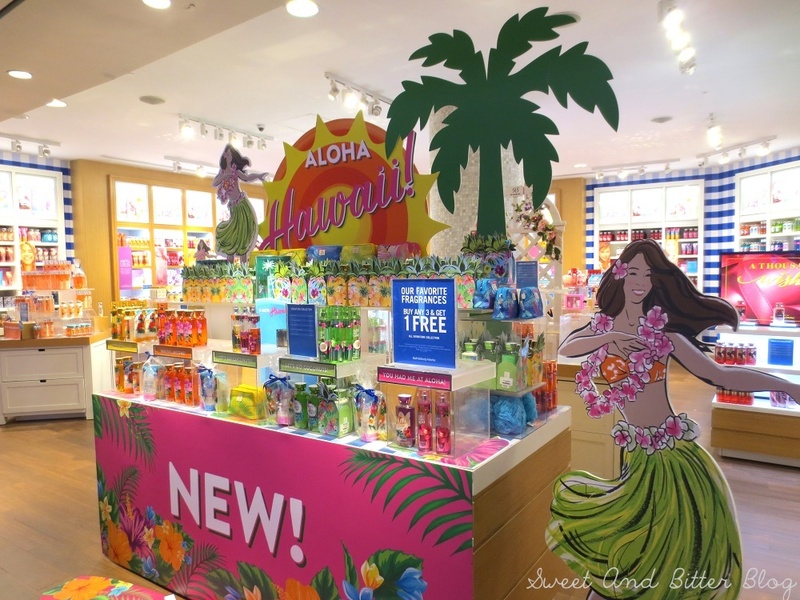 Here is one note I want to make before I forget: The next time I visit Bath & Body Works store, I will be prepared. I will read more about them and keep myself updated about them. Unfortunately, I never cared about them because they are not available in India. But, when I saw their humungous store at Beachwalk, Kuta, Bali, I had to shop. Luckily, the sales assistants were angels and patiently helped me. But, I still could not take the whole day to pick what I required. So, I picked three within 10 minutes. I do regret not taking more time there. Price: IDR 259,000 (around Rs 1300) for three. There were several choices, but I stick with just the perfume options. Since I have never tried them before, I went for the travel size. Luckily, there was an offer going on when you buy three. I picked three sweet smelling ones. 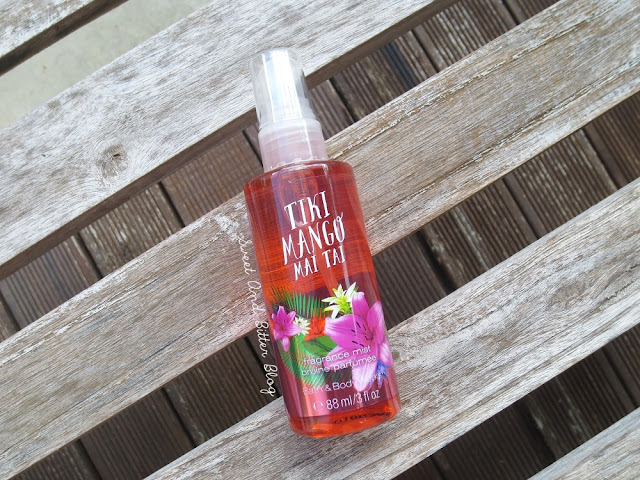 I generally do not like fruity fragrances but call it the effects of a beach holiday that I actually picked that. Luckily, I like the fragrance of each one of them. A huge number of options available for choice at Bath and Body Works. Travel-friendly packaging - sturdy plastic bottle with strong plastic cap. Fragrance lasts on clothes for more than a day. Moderate silage - good wearing in enclosed spaces. Available in only a few websites in India and some shops which retail imported products. Fragrances are more suited for teens and young girls. Not for those who like sophisticated, refined and smoother fragrances. 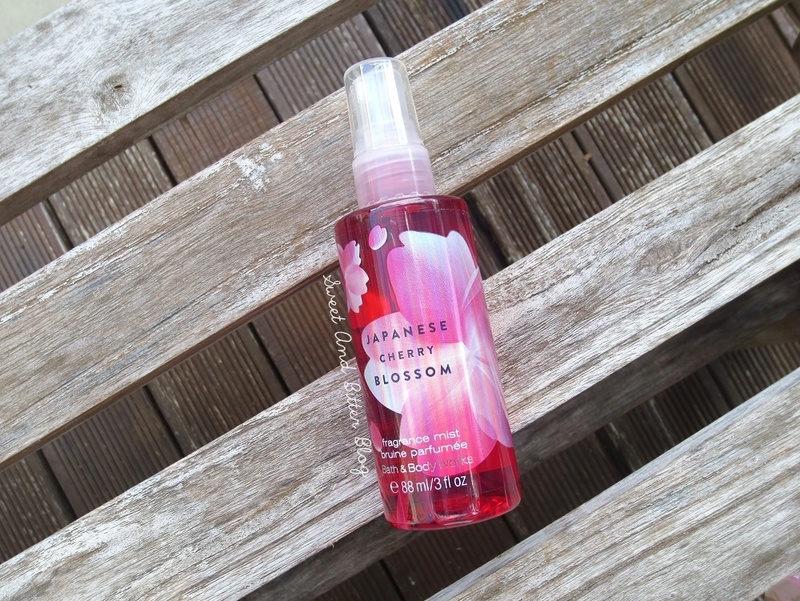 Japanese Cherry Blossom: The love for Cherry Blossom started with my love affair with L'Occitane solid perfume. 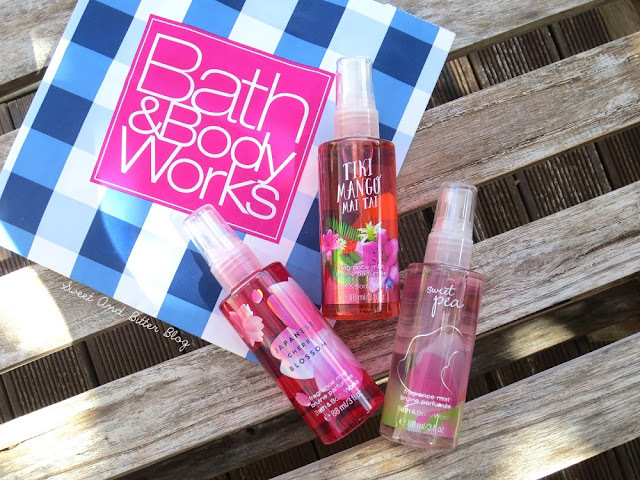 The fruity and woody fragrance wins every time over the other two choices. It starts with fruits and slightly floral fragrance and then dries down to a musky, woody scent. Overall: It was a pleasure trying something out of my comfort zone and yet feel in the zone (because they all dries down to muskier scent). It was my first time at Bath & Body Works and trust me it can get overwhelming. So, prepare and be aware of their offering before of go (if possible). Also, I was amazed when I first realized that they stayed on for the entire day. That is not what you generally expect from fragrance mist. But, if you ask me about repurchasing then I am not sure about that. I do not think they are worth the trouble that involves with getting products that are not available in India. Also, they are not refined enough for my age. If you are looking for a fragrance mist that is available in India, then let me tell you the one that I love - Forest Essentials Nargis. Stay tuned, I will be soon sharing by current favorites in perfume.